Files are saved, paperwork is completed, and instructions are left for the new principal. As I prepare for a new adventure as principal of Mineral Point Elementary School (Wisconsin), there is one thing left to do for my successor: Provide a list of excellent books to read aloud to staff members to start meetings. It is my belief that school leaders need to lead by example when it comes to promoting authentic and necessary literacy practices in schools. Instead of “Lead Learner,” what about “Lead Reader”? Our actions speak louder than anything we might say. The following books have served as excellent texts to share with faculty to start meetings. This picture book should be in every classroom, K-12. 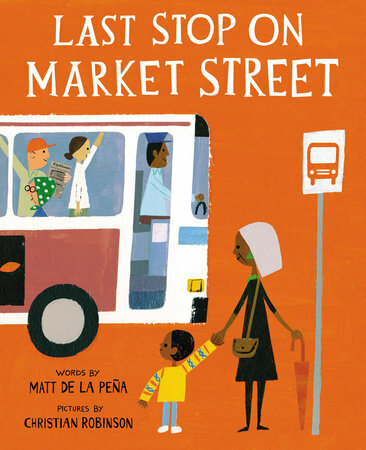 The main character, a young African-American boy in an urban neighborhood, takes a Sunday bus ride to the soup kitchen with his grandmother. Whenever he sees a part of his world through the eyes of inequity, his grandmother points out the beauty. It is an inspiring book about perspective and appreciation. I read aloud this book to start a potentially contentious staff meeting. With staff meetings, humor is the coin of the realm, especially in the spring when our collective patience wears thin. This picture book describes one boy’s attempt to get his stuck kite out of a tree. Each subsequent item he throws into the tree to dislodge his toy is more ridiculous. This book will get lots of laughs. It can also serve as a teaching point, as we as educators can make problems worse with good intentions but poor solutions. Okay, no moral points to be made here, just a lot of fun. 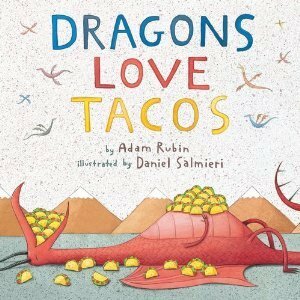 The main character is told time and again that dragons love tacos, as long as we leave out the spicy salsa. You can guess what happens next. The repetition of the title throughout the text can be highlighted as a strong example of organization for students’ writing. 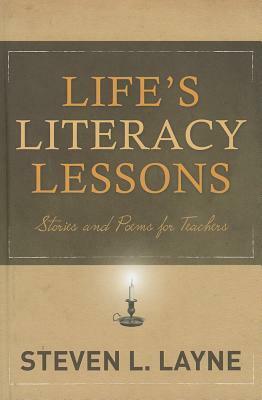 This professional text is filled with brief essays and poems by Dr. Layne, a well-respected literacy professor. Topics the author addresses with both humor and honesty include standardized testing, formulaic writing, reading levels (who else was an “Aqua”? ), and the importance of reading aloud. After reading aloud several selections to my faculty one school year, I randomly selected one teacher’s name and gave this book to her. 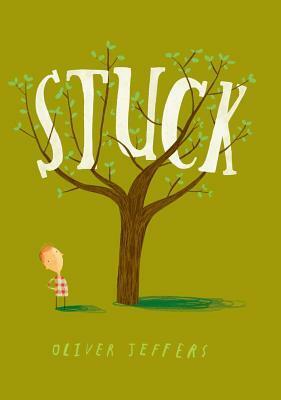 From the author of The Phantom Tollbooth comes this picture book about a boy struggling to adjust to a new location. Instead of the traditional approach to making acquaintances, he calls out the name “Neville!” at the top of his lungs. Other kids in the neighborhood wonder who Neville is, so they join the him in his apparent search. The ending is somewhat of a surprise and leaves the reader thinking long after the story is done. 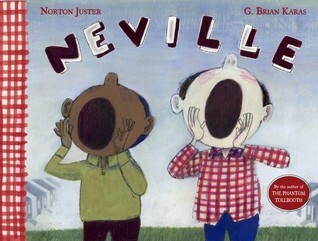 I read Neville! aloud in my prior school, which has higher transiency rates. A good story for starting a discussion on this topic. This quick read aloud served to start a two day curriculum writing workshop I facilitated a few years ago for faculty. It can serve as a parable about the process of idea generation, development, iteration, and finally shared with others and celebrated. The concept of letting our creations become a part of the world has connections with collaboration and personal learning networks. Nonfiction texts are too often overlooked as read alouds. Katz wrote one of my favorites to read and share. 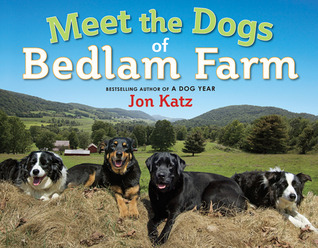 Four dogs – Rose, Izzy, Frieda, and Lenore – each serve a special role on the author’s farm. What is Rosie’s job? Through clues provided in this informative text and authentic images, the reader discovers the importance of taking care of others and providing support for our friends. Definitely a book to share when developing diverse learning communities. Has Alexander and the Terrible, Horrible, No Good, Very Bad Day reached its read aloud limit at school? 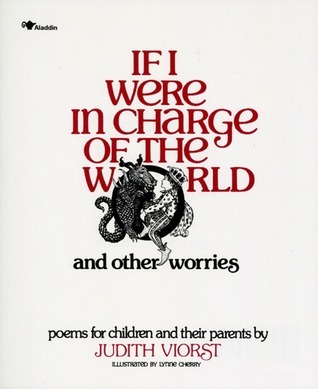 Explore another of Viorst’s publications, a poetry anthology that aptly describes the angst and irreverence that encompasses adolescence and growing up. A great selection for secondary school leaders. “Trouble cruised into Tupelo Landing at exactly seven minutes past noon on Wednesday, the third June, flashing a gold badge and driving a Chevy Impala the color of dirt. Almost before the dust had settled, Mr. Jesse turned up dead and life in Tupelo Landing turned upside down. Other literary elements worth pointing out to teachers include the parallelism between Mo LeBaeu’s past and the murder currently being investigated, and the character development of Mo herself, the main detective. Mai and her grandmother stitch pa’nduas, or story cloths. “But why?” Mai asks. Our classroom and school libraries too often underrepresent the cultures, races, and diverse backgrounds of our students. I shared this book in the past with teachers, as many of our students were Hmong, whose families came from Southeast Asia after the Vietnam War. It is also an excellent read aloud, conveying how every culture uses stories to describe and honor their past. What books would you recommend for reading aloud at staff meetings? How can these titles connect with educators and professional topics? Please share in the comments. Matt Renwick is a 17-year public educator who began as a 5th and 6th grade teacher. After seven years of teaching, he served as a dean of students, assistant principal and athletic director before becoming an elementary principal in Wisconsin Rapids. Matt is now an elementary principal for the Mineral Point Unified School District (http://mineralpointschools.org/). Matt tweets @ReadByExample and writes for ASCD (www.ascd.org) and Lead Literacy (www.leadliteracy.com). What a fabulous idea for principals to read aloud and model for their teachers! I love it! Thank you for reminding me of some books I haven’t read in a while and introducing me to some new ones. I love it when campus staff enjoy a shared reading experience and grow closer together as a reading community. May I add one to your list? If You Plant a Seed by Kadir Nelson is one of the simplest, yet most profound books for children AND adults. Happy Reading in the new school year! Love this list and idea! Thanks for sharing! When I was the principal I wrote a story using Storybird and read it to our school community at our opening day assembly. It was so special! As a principal, I read Baghead by Jarrett J. Krosoczka to staff during a PD session. It sparked great conversation about understanding students and the simple questions that can reveal what is reality. Jacqueline Woodson-The Other Side & Each Kindness. Must haves in each classroom to read aloud to students, too. Empathy, friendship, diversity. Rebecca Kai Dotlich-One Day, The End. : Short, Very Short, Shorter-Than Ever Stories-must have in every K-3 classroom for writing!! Mo Willems-The Thank You Book (Elephant and Piggie, #25) SO sad this is the last Elephant & Piggie book. 😦 Great writing prompt, grateful, friendship. EVERY book by Patricia Polacco!! Munro Leaf-Ferdinand. The first book about introverts, & being yourself. Find out who the introverted students are, it’s so important! Natasha Tessier-The Book of Awe. A reminder to stop our buys lives and look around, enjoy the beauty in everyday things around us. This is a fantastic lost and so supportive of our school / educator community! Thank you, Matt Renwick! Shared with my ADMIN TEAM! Fabulous! Just shared with my new principal. Thank you! Excellent idea! Love this post! Nancy, your commitment to public education is admirable. However kindly or gently we phrase our language, it does not change the fact that underrepresented students’ identities are often absent in the texts made available to read in schools. This is an observation, nothing more. Great Titles! Number 11 should be Each Kindness by Jacqueline Woodson. If my principal reads me a book instead of letting me set up my classroom or something useful, I am going to lose my ever-loving mind. Lindsey, I appreciate your honesty. Might you imagine any benefits not yet considered of your principal taking time to read aloud to staff once in a while within your context? Thank you Matt! You shared some of my favorites and also some titles that are new to me. This will be my first school year as a principal and it is on my to do list to give a booktalk at every meeting. I plan to highlight professional books as well as picture books. I am having a terrible time finding a book I consider “worthy” of my opening day meeting and would appreciate any suggestions folks might have. Best of luck in your first year as a principal. Check out Mrs. Spitzer’s Garden by Edith Pattou and Tricia Tusa for an excellent first day read aloud. It is a smart way to recognize the true value teachers bring to the classroom. I love this book. I read it to my grad students at the end of my course. It is so touching to end the course with this message of how important teachers are. Thank you. I look forward to finding the books I haven’t read. 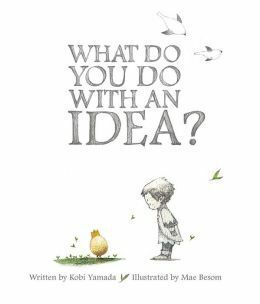 I would add The Three Questions by Jon Muth. We read “Mine!”, a simple, short book aloud at our faculty meeting right before a big district move where our staff was being split into 2 campuses. Funny, quick intro to the tough discussion on the logistics of moving and what would stay and what would go. Got everyone examining their own territorialness by laughing at ourselves. Relieved a lot of tension and got people to be less self-consumed in a big transition. #pl_eps I bought 3 of the recommended books yesterday! 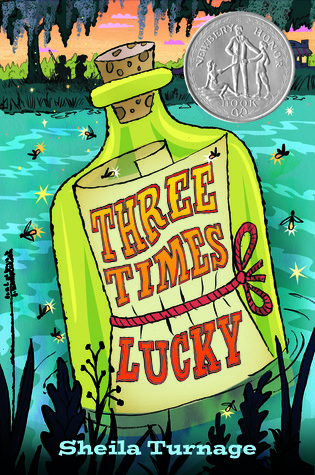 Am currently reading Three Times Lucky. Thank you for the recommendations! Just in case you were looking for some literary inspiration. 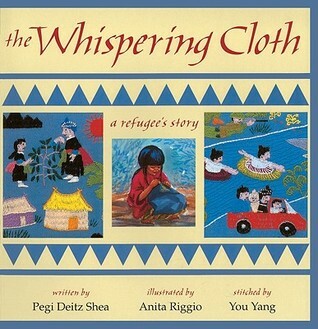 I’m so honored to have The Whispering Cloth: A Refugee’s Story on this list. Thank you! I wish the topic weren’t so relevant. Cross-Curriculum activities are on my website. I am so honored that you would comment on this post! Thank you for writing a necessary book. I’ve already started exploring your author site (http://www.pegideitzshea.com/). This is what I love about blogging: How a piece of writing is only the beginning. I now have more titles to consider for the future from the smart suggestions people shared in the comments. Thank you for joining the conversation. One note for clarification: Reading aloud at staff meetings comprises only a short part of our time together, usually in the beginning and not at every meeting. That I make time for this approach for starting meetings speaks powerfully about the practice. Leaders are readers, and readers are leaders! Why not ask the staff to choose a book themselves so they feel more invested in the idea. Funny you mentioned that book – I was asked to read it aloud to 3rd graders this school year. It was an excellent story to share, especially as a principal. Great list and Bookertalk’s idea is a nice addition.